Taylor Mason is an exceptionally versatile performer who combines ventriloquism, music, and stand-up comedy into one unique show. For many people, possessing multiple personalities would be problematic. For Mason, it’s a way to bring hilarious, clean comedy to the multitudes. Taylor is an funny ventriloquist whose foam creations charm people of every age. Each of these puppets has a vivid personality and a startling knack for taking on a life of its own. Taylor is an entertainer of the old-fashioned variety. In addition to puppetry, he sings and tells jokes. Moreover, his resume is astonishing. He won “Star Search” in 1990. Every major comedy club in the U.S. has employed him as a headliner. His corporate clients include Microsoft, Walmart, and the Walt Disney Company. Taylor has appeared at more churches than many traveling preachers. He has produced many books and recordings. Moreover, he even has his childrents TV show: “Taylor’s Attic” is filmed in Columbus, Ohio, and syndicated globally. The feeling of old-school vaudeville, mixed with contemporary situations, makes his material easy to relate to for just about anyone. Wit and excellent timing keep his shows fast-paced and fun. Mason has over 25 years of performance experience. He has captured the attention of audiences in comedy clubs across the nation, including The Second City Theater in Chicago. He has appeared on TV countless times and participated in “The Last Comic Standing”. He was a featured comedian in the DVD series Thou Shalt Laugh V. Mason has a well-earned reputation with corporate clients. He has tailored his material for Microsoft and Wal-Mart and performed children’s shows aboard a Disney cruise ship. Mason carefully crafts his shows so that they reflect the client’s corporate culture. The result is a high-caliber, custom-made performance. Taylor Mason is an experienced comedian that has been making people laugh with his quick witted humor, funny comedy and endearing characters. 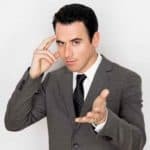 Mason is a widely experienced comedian – from executive shows to religious organizations, entertaining on cruises, he does it all and does it well. Unlike a large number of other comedians who believe the ingredient to “making it big” is a penchant for dirty and offensive humor, Mason keeps it clean and while keeping the funny bones tickled. Mason’s clean comedy bit “Ramon: it is a Hog” features a conversation with an unwilling pig, who makes subtle jokes with references to the collapsing financial pyramid and the stock market. The skit is an excellent display of Mason’s versatile ability to create material that is simultaneously humorous to both children and adults. Mason’s partly nonchalant, partly sarcastic attitude towards the pig is both hilarious and endearing, and his jokes are well timed and well-paced. Taylor Mason is truly a master of his comedy craft, but he is more than just a gifted funny ventriloquist. He specializes in combining music, ventriloquism and comedy for a unique experience. He pays considerable attention to connecting with his audience through respectable humor. Mason always gives his best effort to every individual performance. He is available for hire for a variety of shows– whether it is on your living room screen or a memorable event, it is safe to bet Mason has the right humor for you. Mason’s humor has enchanted intimate audiences, schools, coporate organizations and community groups rely on his brand of good, clean fun to entertain their members. Mason’s key to success as a comedian is the fact that he is interested in communicating with his audience. His goal is to share a connection with joy and laughter. Watching him perform, it is easy to see that he succeeds. By celebrating people’s differences and steering clear of bedroom and bathroom humor, he creates a companionable environment. The audience responds; singing along and having a fantastic time. If your organization or business is looking for a family-friendly entertainer, Taylor Mason is a natural choice. Taylor grew up in a suburb of Chicago and played football at the University of Illinois until a serious knee injury sidelined him during his junior year. He then found himself with plenty of time for sitting around, and he also realized that his interest in the entertainment business was flaring up once more. Taylor served as a disc jockey and comedian at a frat party one night, which led to paid gigs at various fraternity and sorority events. A career was born. Taylor moved to Chicago after graduation and earned a prestigious position as The Second City Theater’s musical director. Second City, of course, has trained many of the biggest stars from NBC’s “Saturday Night Live.” Afterward, he studied advertising at Northwestern while moonlighting as a comedian and funny ventriloquist. Eventually, his night job became his only job. Taylor hit the road, and the rest is puppet history. Today, Taylor works with more than two dozen characters. Romeo and Juliet, two of his stars, are featured in the above video. Romeo and Juliet are not the star-crossed lovers from Shakespeare, however. Rather, they are wisecracking performers who join their human friend for a “Can You Dig It?” roundelay. Juliet, by the way, is quite brash, opening at one point “women are superior to men.” What’s more, a tragedy of Shakespearean proportions strikes Romeo: His foot falls off. Moreover, this clip provides just a taste of the absurdly intelligent humor, the musicality, and the sheer fun that every Taylor Mason performance has in store. For information on booking Taylor Mason ay 615-283-0039.